Mosezetta Holder was born September 10, 1962 to the late union of Otis James Holder Sr. and Inez Bennett Holder in Marvell, Arkansas. Moszetta, was very caring and lovely women. She enjoyed being with her family especially her grandkids. Because of her pleasant personality, she was loved by many. 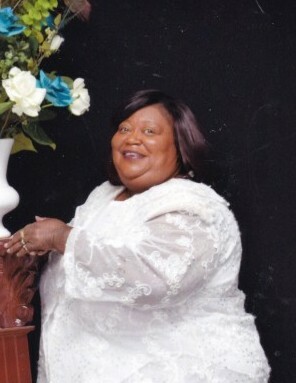 Moszetta accepted Christ at an early age and united with New Haven Missionary Baptist Church in West Helena, Arkansas, under the leadership of Dr. Rodney Corbin for over 18 years and served as a Greeter until her death. Mosezetta departed this earthly life on February 19, 2018 at the Cottage Lane Health and Rehab. in Little Rock, Arkansas with her family at her side. Mosezetta was preceded in death by her parents, Otis James Holder Sr. and Inez Bennett Holder; two brothers B.J Holder and Donald Ray Holder; two sisters Janeice Holder and Rosezetta Holder; and one brother-in-law Woodell Coleman. Mosezetta leaves to cherish her memories and to celebrate her life, two children Goldie Holder and Gary Robinson II; four grandchildren, Xzavior White, Skylor Boyd, Bendarus Boyd and Gary Robinson III; six brothers, OJ Holder Jr, Virgil(Corrine) Hoskins, Willie Holder, Leon Holder, Henry Lee Holder all of Marvell, AR., and Cleotis (Sheila) Bennett of Little Rock, AR. ; six sisters: Ezella Coleman, Annett Bennett, Leomi Holder all of Marvell, AR., Gertrude Holder of Omaha, Nebraska, Alice(Chris) Bell, Linda Holder of Little Rock, AR., and Georgia Kimbell of Milwaukee, Wisconsin; two special nieces, Shavon and Javon Young and a host of nieces, nephews, and other beloved relatives and friends. "If ordering flowers for family the colors are Red, White and Silver"